The latest hockey rivals between St.Cecilia Misikhu and Sinyolo Girls in the national girls hockey championships will once again be revived . They clash in the semi finals of the Kenya Secondary Schools Sports Association National Term One Games at State House Girls, Nairobi. Defending champions Sinyolo have been having a good outing in the event so far wining all their preliminary matches while the former champions Misikhu have won two and lost one to debutants St Joseph’s Girls Kitale. The other semi final will pit St Joseph’s Kitale against Moi Girls Nairobi. Moi Nairobi Girls who lost 0-1 to Sinyolo in the opening match bounced back to beat Bura Girls 1-0 and drew 2-2 with Kerugoya to finish second in Group A.
Sinyolo overran newcomers Bura Girls 4-0 while St.Joseph's Kitale edged Misikhu 1-0 in Group B to finish second. The semi final match will be a repeat of last year's semis where Sinyolo knocked out Misikhu with a 3-0 win to extend their winning ways over their Western region foes. 'We are happy that we have made it to yet another semi final. However we should not start celebrating because the work ahead of us is hard. We are playing a side that knows us very well. So we should try and be tactical and play hard," Sinyolo skipper Lydia Adhiambo said after their final match. Adhiambo added that last year's result and their preliminary matches will not count and will start the match from square one. "Tomorrows match will be a new ball game. We will not allow our current status of being the defending champions run in our heads. We will play differently and I am also sure they (Misikhu) will approach the match differently," Adhiambo added. In basketball, girls national basketball champions Kaya Tiwi of Coast will battle it out with Nairobi’s Buruburu. The match will be a repeat of last year's final where Tiwi beat Buruburu 53-25 to win their maiden title. Tiwi topped Group B after thrashing Kirigara 65-18 in their last group match while , Buruburu beat Nyamira 79-45 in Group A. In the other semi final match, St.Brigids Kimimini will once again square it out with Tigoi Girls. St Brigids whitewashed Senior Chief Ogle 109-4 to book a place in the last four while Tigoi dismissed Loreto Limuru 71-48. In the boy's basketball, champions Upper Hill will lock horns with Nyeri Baptist while Laiser Hill will be up against Kisumu Boys. Upper Hill topped Pool A with an unbeaten record. They saw off Kang'aru Boys 79-34 in the last group match. Nyeri Baptist sealed their place in the last four with a 57-50 win over Chavakali Boys in their last preliminary match. 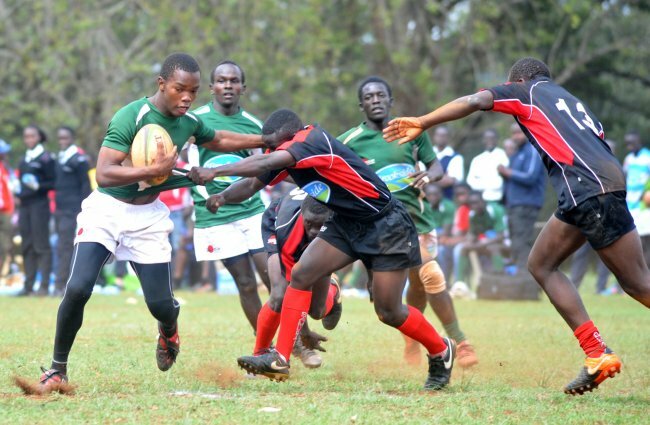 In rugby, East African champions Kakamega High will battle it out with Upper Hill in the first semi final before 2015 winners Laiser Hill play the 2004 champions St Mary's Yala at Nairobi School. Kakamega High finished second in Pool B after going down 10-8 to Laiser Hill in their last group match. Upper Hill completed their preliminary matches with a perfect record after hammering St Mary's Yala 28-0 in their final Pool A match.